Applecross Tennis Club is situated right on the Swan River foreshore, boasting million dollar views of the river and city, twelve grass and two synthetic hard courts. Social Tennis, Juniors and League competition are strong features of the Club. Coaching and private tennis lessons are available through programs offered by the Club CoachThe club has the following facilities that can be hired, subject to availability. Fully Air Conditioned Clubhouse (seats approximately 120 people) Shaded verandahs River and city views Kitchen (BYO catering) Bar (Cash bar available for hire with club bar staff) Outdoor sitting area 12 grass and 2 synthetic hard courts Showers and toilets Ample parking on vergesPlease contact us for more information. Founded in 1901 and located in the heart of the Claremont town precinct, Claremont Lawn Tennis Club is a family orientated, country club style tennis club with an active social calendar. Sixteen superb grass courts and two state of the art supergrass courts under lights are complemented by a courtside heritage air conditioned clubhouse with barbeque, catering, licensed bar and all social amenities. We welcome and cater for players of all ages and ability from Juniors to Teens, Adults, Social, Veteran, Competitive and serious Pennant Players. We also offer a range of tennis coaching programs. The club has an interesting and active calendar of tennis and social events in a very relaxed and friendly environment. Tennis court hire available by arrangement. New members are always welcome. Please contact us for more information. Offering Perth’s best grass courts and shard courts for use by members and also available for hire. 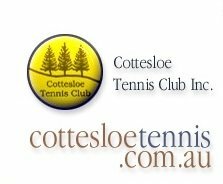 Situated on the corner of Broome and Napier streets, Cottesloe Tennis Club offers twenty-three of Perth’s best grass courts and six hard courts for use by members and also available for hire. Grass courts are available all year round every day of the week except Monday. Players can relax after the game in the spacious clubhouse which offers kitchen and bar facilities and features views over Cottesloe Beach and the Indian Ocean. Tennis coaching is available through the Club Coach. A variety of tennis formats are available to members depending on their preference including social tennis, competitive tennis & junior club. Visitors and potential new members are welcome at organised social tennis sessions for the payment of a small fee. For more information please contact us. The Mt Lawley Tennis Centre provides a tennis lifestyle for everyone. The Mt Lawley Tennis Centre enjoys the company of all standards of tennis play and caters for all ages in junior, midweek and weekend tennis. The club has 20 grass courts and 4 synthetic grass hard courts. All hard courts have lights. We offer midweek tennis on Tuesdays and weekend tennis on Saturday afternoons, which includes unlicensed childminding for young children. Develop your game with professional tennis coaching. Tennis lessons are tailored to suit beginners right through to advanced playersHire of tennis courts is part of the centre's community awareness program. We welcome everyone to come and experience playing on our courts for any occasion. We like to think that everyone who joins us has the "Mt Lawley Tennis experience" which is a warm welcome, feeling part of the tennis community and the opportunity to make life time friends. Please contact us for more information. If you’re looking for a tennis club to join then look no further. 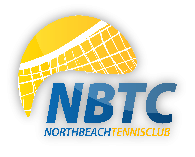 North Beach Tennis Club offers social and competitive tennis for all ages and standards of play in a sociable, safe and healthy environment. There are 12 grass courts, 8 synthetic grass, and 4 plexi-pave courts. If you want to start playing tennis or enhance the skills you already have, we offer professional tennis coaching organised by head coach, Rob Kennedy. Rob organises a range of programs to cater for all levels of abilities for both juniors and adults. Although we are well know for our grass courts we have a huge range of newly refurbished courts to hire for social or competitive play during the day and at night time. If you’re looking for a tennis club to join then look no further. North Beach Tennis Club has a wide range of facilities, a relaxed friendly atmosphere and a wide range of playing standards. Please contact us for more information. Established in 1984, Ocean Ridge Tennis Club is located in Heathridge and attracts members from as far away as Mindarie and Scarborough Our tennis club offers: 10 Hard courts all under lights Active Pennants, Social and Junior sections Spacious clubroom with TV, pool table, darts and table tennis Fully equipped kitchen Licensed bar Enclosed children's play area Elevated, covered, viewing balcony adjacent to club rooms Organised social eventsMike Roberts has been our resident coach and junior co-ordinator at the Ocean Ridge Tennis Club for many years. He is highly experienced and able to coach at all levels from beginners through to completive stages. If you join the Ocean Ridge Tennis Club a free tennis group lesson is included in your membership. For more information please contact us. A warm, friendly and social culture that is promoted through regular tennis and social events. Higgins Park Tennis Club has a warm, friendly and social culture that is promoted through regular tennis and social events. Being the only Tennis Club located in the Town Of Victoria Park, we aim to provide members and visitors a friendly and fun place to play tennis. We are a community based Tennis Club and believe our success comes from our family/friendly atmosphere and junior development program. Tennis Performance offers tennis coaching programs for junior and senior players of all standards. Under the direction of Josh Gliddon coaching programs are based around the development and transition of junior to senior tennis. You can hire the hard courts all year round by calling the clubhouse. For more information on membership please contact us. Scarborough Tennis is a premier tennis club and academy located on the beautiful northern beaches in Perth. Our club membership offers outstanding value with social tennis and pennant tennis played on our 13 grasscourts, 3 synthetic grass courts and 3 hardcourts. We offer tennis coaching to children as young as 3 years old through to adults ranging from beginner to advanced. As well as our tennis tuition, you may be interested in our social tennis sessions or even hiring a court to have a hit with some friends. We offer the following services* Private tennis lessons for kids and adults* Adult and kids group tennis lessons* Kids 'all day' school holiday camps* Adult Social and night competitions* Adult Cardio Tennis* Racquet Restringing* Club Membership* Tennis Court Hire* Floodlit tennis courts Please contact us for more information. Tennis Lessons for All Age Groups & Skill Levels. Tennis Lessons in the Northern Suburbs of Perth for all age groups and levels of skill. Tennis Lessons in the Mandurah Area for players of all ages and abilities. Our Tennis Centre caters for juniors and seniors alike, court hire & tennis coaching available. We are a boutique grass court tennis club on the Maylands Peninsula, overlooking the Swan River.